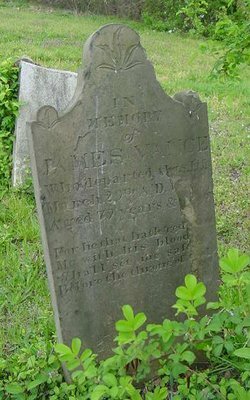 James Vance was born in Porter’s Ferry (Portaferry), County of Downs, Ireland in 1753. The Vance family, originally from Scotland, formed part of a colony sent by the English Monarch to colonize part of Northern Ireland with a strong body of Scotch Irish Protestants. After his service he bought a farm near Morristown NJ and married his wife Amy Slack. His children were all born in NJ but they eventually moved to Greensboro PA where his sons began a pottery business. James and Amy’s children were James, Alexander, Mary and Rebecca. James and Alexander were the potters. And Mary married into the Boughner family and continued the pottery work. His son James married Margaret Elizabeth Eberhart . This is our line. James and Margaret had nine children: Alexander, CHARLES, Sophie, Amos, James, Elizabeth, Christina, Louis and Albert. Charles was our Great grandfather. Charles and Louis would later become involved in the booming steamboat business along the Ohio River, and their story is next to be posted! James is listed in the 1830 and 1850 census of Green County PA. On the 1850 census he is listed as a glass blower and other names on the census are Kramer, Reppert, noted New Geneva PA. glassworks/potter families. The internet opens a wonderful world for piecing together genealogical information. Thankfully, people share bits of their own family history so that others can also learn about their roots. Through the Boughner line ,transcripts from a family Bible have been made available. The Bible includes the dates of births, deaths, and marriages. There is also a page from the diary of James Vance confirming his date and place of birth, and information on his wife Amy’s family. A book published in 1923 called The History of West Virginia, Old and New by the American Historical Society Inc, Chicago, includes information on James. Other records can be found in the Daughter’s of The American Revolutions books and Revolutionary War Rosters. 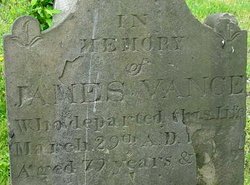 Thank you for sharing the James Vance family story on your blog, along with the cemetery stones. According to my records James and Amy Slack Vance had five children. Martha, Alexander, Rebecca, James, and Mary. I descend from Martha Slack Vance who married Eleazar Evans. 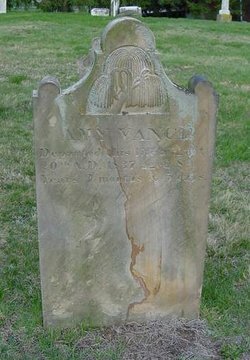 I enjoyed reading this about the Vance family. Thank you for sharing it. Thanks Angela. If you google search images of Portaferry Ireland, you can see the “homeland”!! Hi Christiane, Nice to “meet” you!! Do you, you must, have a tree on Ancestry? Thank you so much for posting this information. My name is James Boughner, and my ancestry comes from the Marriage of Daniel Boughner to Mary Vance, who was the daughter of James Vance. Daniel and Mary had children, one of which was James Vance Boughner, MD, and this is family line that I belong to. I have an elderly Uncle by the name of Gerald Vance Boughner, retaining the Vance name for his middle name. Thanks again for sharing. Thank you for your inquiry. I just wanted to let you know that currently I’m not adding much more content to this blog. I may in the future if I have more information, but for now I am not writing for this blog.